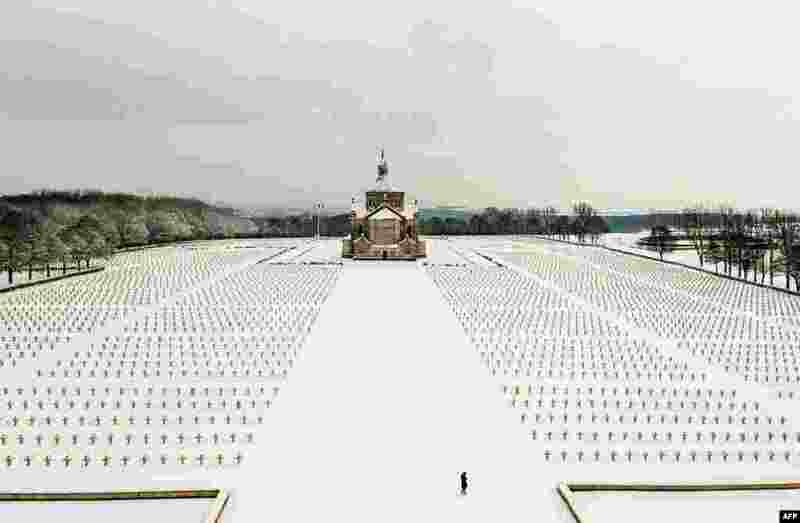 1 The Notre Dame de Lorette World War I military cemetery in Northern France is seen covered with snow. 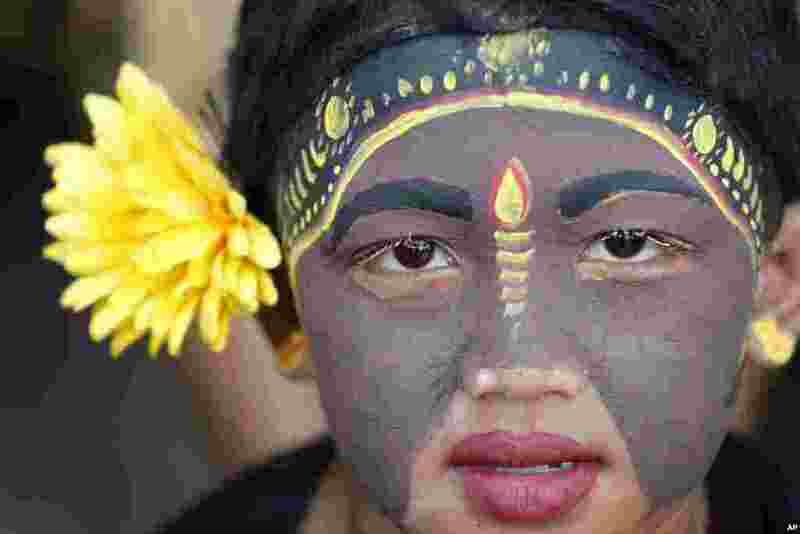 2 A Balinese youth participates in the Hindu ritual of "Grebeg" at the Tegalalang village in Bali, Indonesia. 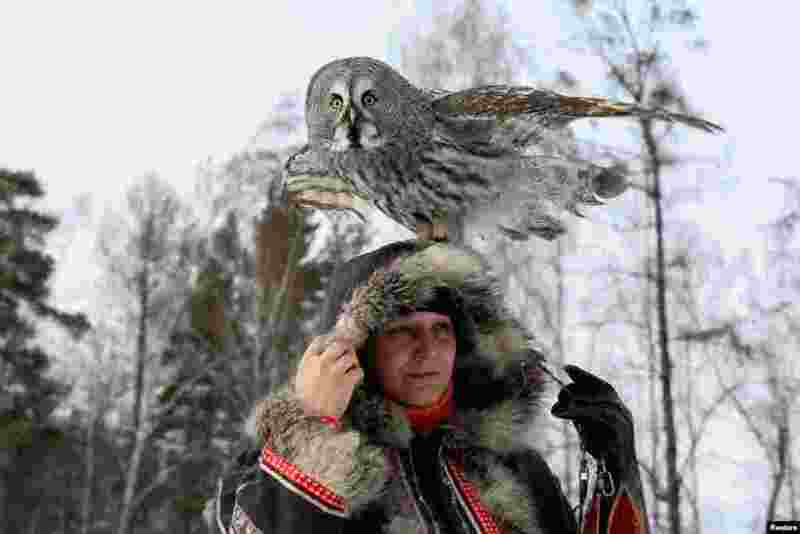 3 Mykh, a two-year-old Great Gray Owl, sits on the head of ornithologist Daria Koshcheyeva during a training session. It's part of a project by a local zoo to tame wild animals for further research and interaction with visitors, in the Siberian Taiga forest in Krasnoyarsk, Russia. 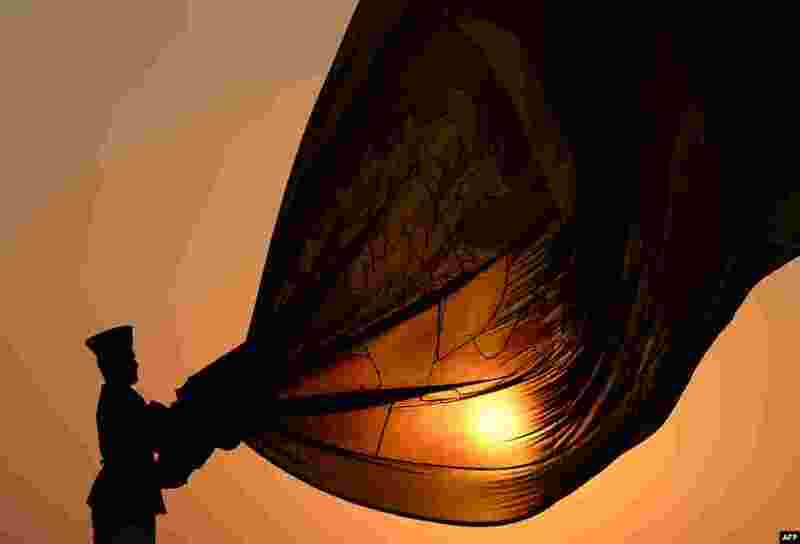 4 A Sri Lankan Air force officer hold the national flag as it is lowered during a daily ceremony held at sunset at the Galle Face Green promenade in Colombo.